Walmart CEO, Joel Anderson is sure that “you can’t just open a website and expect people to flood in. If you want to succeed you have to create traffic.” So what do you need to generate organic traffic flow? Initially, you have to pay more attention to choosing the proper platform for e-commerce website building. Your success will incredibly depend on your choice. The worldwide e-commerce sales accounted for 1.3 trillion in 2014. It is predicted to grow up to $4.5 trillion by 2021. There is a 15% yearly increase in global spending on web commerce software. In 2015 this figure reached about $4.7 billion. Mobile conversion rates for small commerce may increase up to 30% in comparison with a considerably lower index for large retailers. 96% of the US citizens have made one online purchase throughout their life. 57% of digital shoppers made overseas purchases in the past 6 months. Alongside these impressive global data, there is useful information on the requirements e-commerce websites should meet in order to succeed. The revenue from selling/buying through mobile devices accounted to $700 billion in 2017. Take into account that your e-commerce template has to fully responsive to flow effortlessly on mobiles as well. 60% of shoppers prefer making a purchase with a virtual voice command. 72% of people use emails as a preferable way of business communication. 23% of shoppers rely on social media reviews and recommendations while 30% of people would prefer making a purchase through social networks like Instagram, Facebook, Pinterest, etc. Online shoppers prefer using live chat to connect with a buyer or a chatbot to make a purchase. 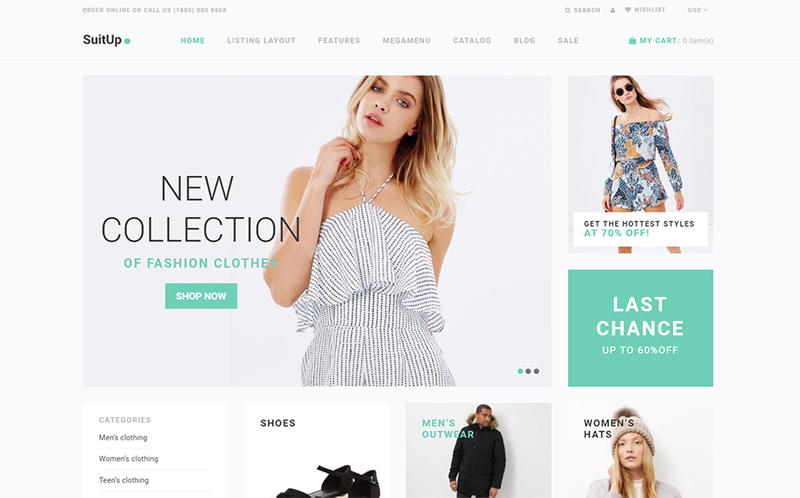 If you’re a newbie in the world of e-commerce and don’t know what website template to choose for your future e-store, take a look at this comprehensive collection of outstanding 25 e-commerce website. With Jka, you have unlimited opportunities for rapid growth. 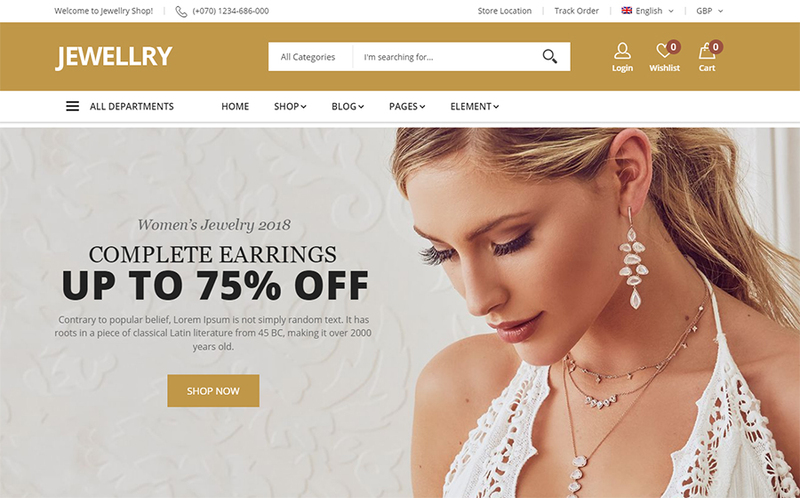 Your e-store will be enhanced with an easy-to-navigate interface, impeccable performance, and a set of premium features providing the robust user experience. More than 9 homepages with attractive sliders. 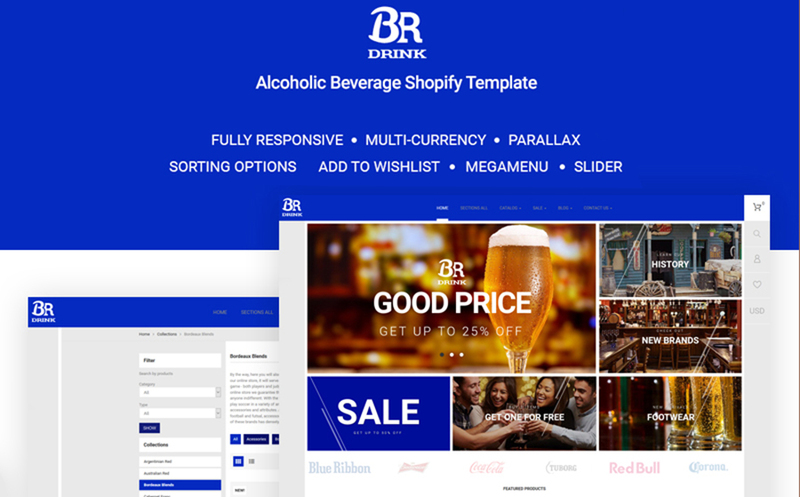 If a business owner wants to promote one of the most lucrative industries all over the world, he should take advantage of BR Drink Shopify theme with a comprehensive package of extensive opportunities. A plethora of catchy visual effects will help to stand out from the crowd and reach the top on the SERPs. A mobile-friendly layout looks perfect on any small screen. Fascinating Parallax animation to make a site’s navigation and appearance more appealing. 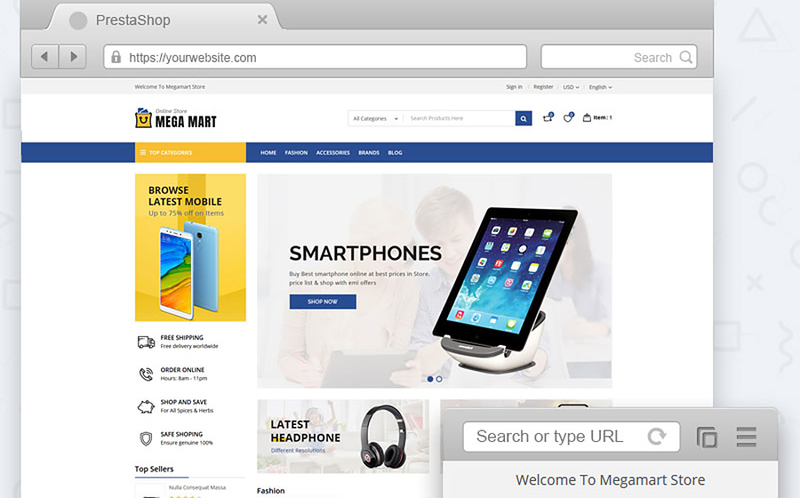 MegaMenu allows to make a site’s interface more user-friendly. Multicurrency/Multilanguage support lets a business spread all over the world. When choosing an interior design, people are looking for a vast variety of attention-grabbing pictures. 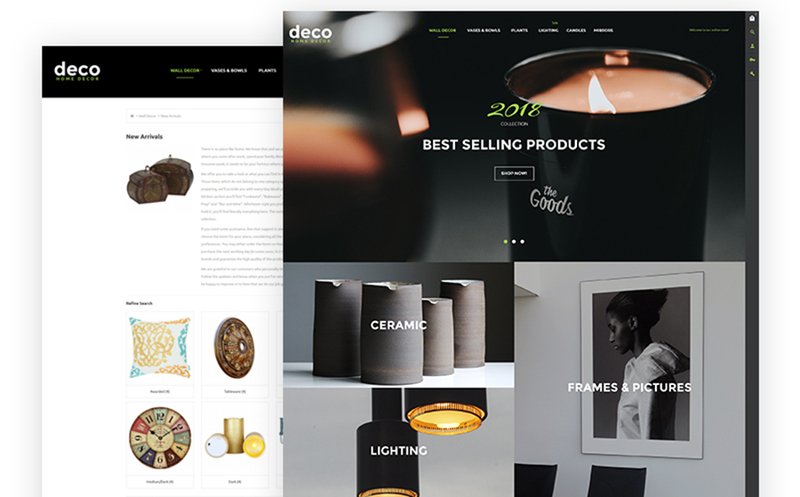 A decoration-related website needs to be visually effective and include a number of sorting options to provide customers with a convenient on-site search. A full package of necessary pre-designed pages. Highly affordable price for a fully-fledged website template. 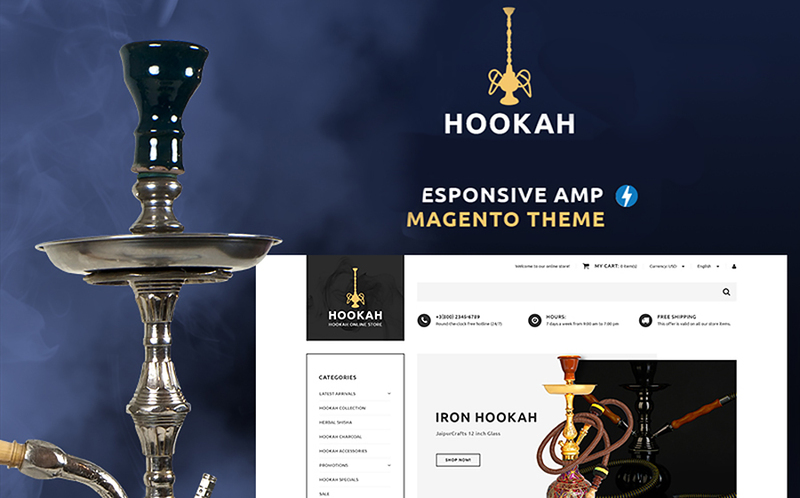 Stylish, sleek, modern design with big sharp images. Worriless installation and accurate documentation. Illustrative yet simple subscription form incorporated. 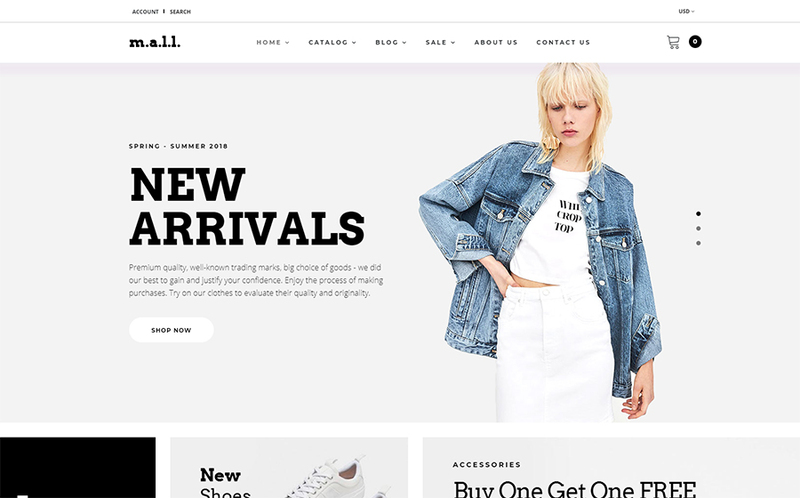 This clean, polished and simple-to-customize template will come in handy those who want to run a powerful digital online shop. Packed with a number of custom widgets and first-rated plugins, Megamart will serve a brilliant platform for the quick and effortless site-building. Fast performance with a product lazy load option. The rich set of Ajax plugins: Product search/Compare/ Wishlist. An optimized code for major search engines. Multiple easy-to-navigate tricks like Back to Top button/Quick View/ Layered navigation. A huge variety of ways to showcase apparel. Stunning Parallax effect is integrated. Loads of typography options including hundreds of Google fonts and icons. SushiExpress comes with all the necessary web tools to satisfy even the most sophisticated shopper, especially if he is hungry. 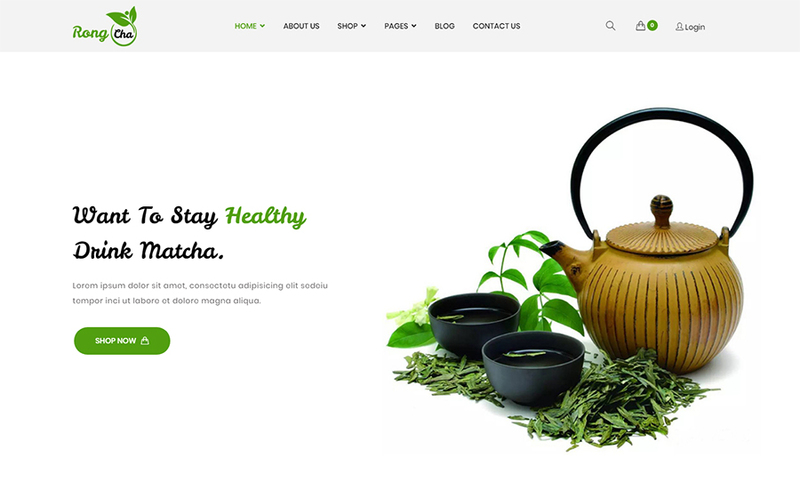 A mouthwatering design and usable interface will attract as more online clients as possible. Tasty-looking sliders on the homepage. The ability to build a menu of any complexity with JX Megamenu. JX Blog module with a variety of options is available to engage your online shoppers. Easy and intuitive working panel to modify any site’s elements effortlessly. Multilanguage support to enrich e-stores opportunities. Women are the most demanded online shoppers especially if they are looking for beautiful apparel. 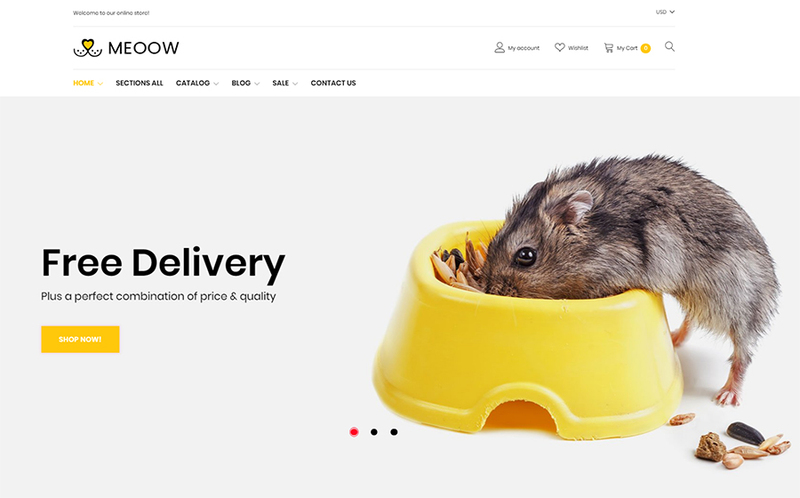 This WooCommerce template with a minimalist yet polished design deserves your attention since it offers incredible opportunities to present your product in a favorable manner. The ability to change color with a click. An extensive pack of selling/sorting options for buyers. 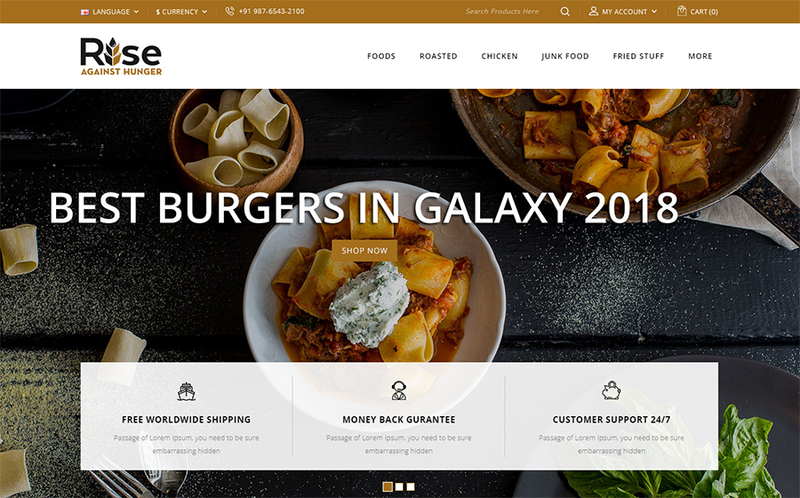 Welcome to one more tasteful and professionally designed website template dedicated to food store businesses. Rise has a modern appearance with catchy imagery and completely fitting layout to any device. Sweet price for such a solid package of tools and plugins. Appetizing visual effects like sliders, product showcase, gallery, banners, etc. A magnetic background based on the trendy color scheme. A comfortable Shopping cart with multiple usable features. Social networks buttons for a quick access. SuitUP is an all-inclusive solution for an efficient site building process. 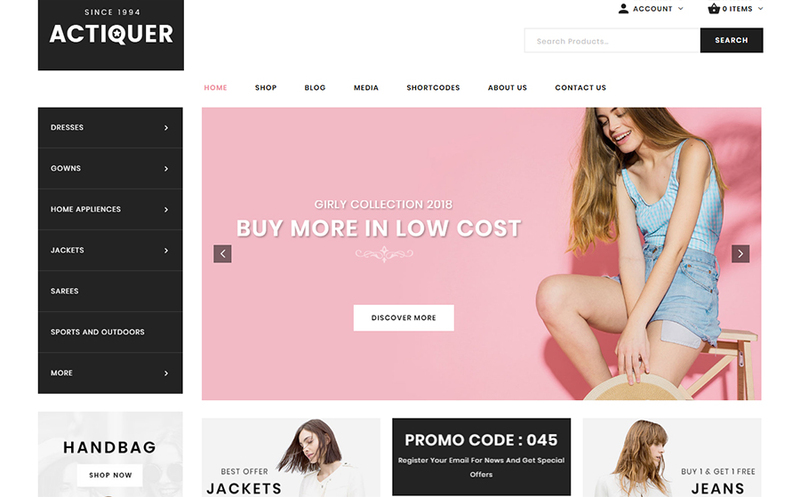 A web store based on this Shopify theme will look extraordinary yet clean while function impeccably yet smoothly. Equipped with 7 ready-made stores for all occasions. Robust sorting options to make shoppers’ experience unforgettable. A wide range of components for easy and engaging customization. A plethora of listing possibilities to choose from. An effortless installation in a few clicks. An attractive blog section to interact with customers on a regular base. Extra flexible footer with a number of options. 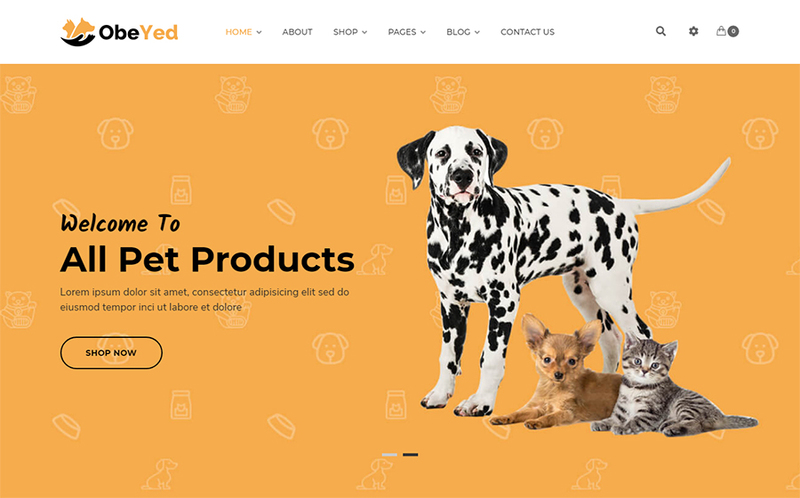 With this easy-to-adapt theme, both a newbie and an experienced webmaster will be able to create a solid, eye-pleasing website with loads of options and excellent performance. Clean and minimalistic design brilliantly fitting to the business niche. The opportunity to review a live demo. Tons of tricks for smooth navigation. Endless possibilities to present products. Compatibility with all major browsers. Complete responsiveness of the layout. Comfortable and eye-pleasing blog module. Effective product image rollover technology. Well-structured and feature-rich header and footer. 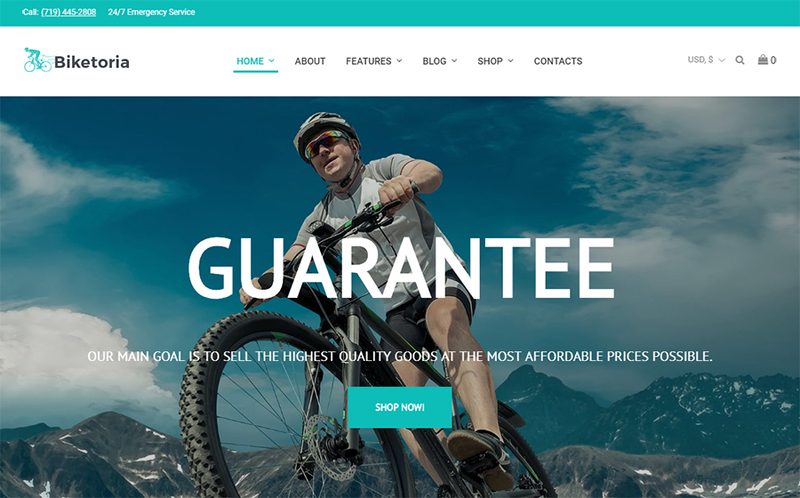 Selling bikes is a responsible business that requires a strict marketing strategy, efficient promotion, a powerful online presence, and many other aspects. This Elementor-based theme will help you put all these factors into effect. A stylish design with niche-specific images and catchy graphics. Different web pages bundled with various details. Elementor page builder stuffed with a bulk of carefully designed modules. Rich functionality with JetElements addon incorporated. A clean and eye-catching appearance in combination with strict typography. Valid and well-commented code optimized for search engines. A handy and simple admin panel to manage a website effortlessly. A retina-ready design which suits any modern screen with a resolution. Visual Composer page builder support. Stylish animations to attract visitors’ attention. AMP technology allows to speed up a site’s performance. Loads of usable, top-notch extensions included. MegaMenu with various categories and subcategories. The ability to shop by brand. 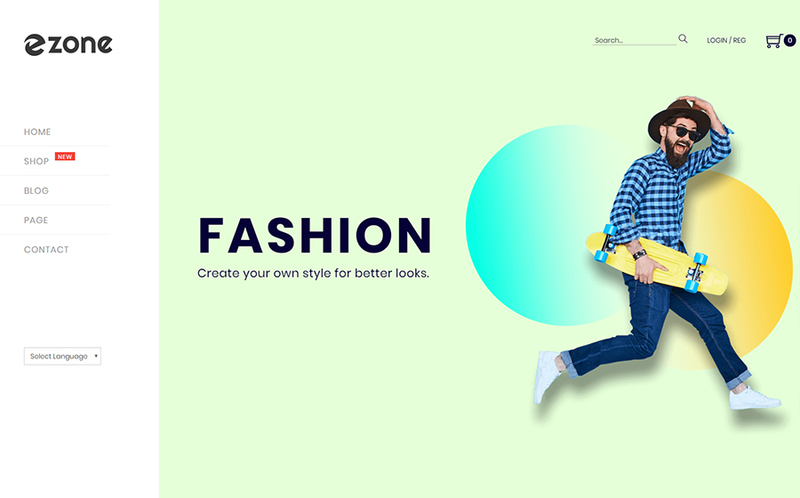 Elaxo will bring your fashion-related business to life with gorgeous design and a smooth UI which comes with tons of customization options. A fresh-faced design with the rich set of various widgets. More than 10 Shortcodes pages components. Multiple KingComposer extensions to enhance site’s functionality. Handy Contact form 7 to help customers get connected with a site owner. The ability to change color, fonts, and icons. 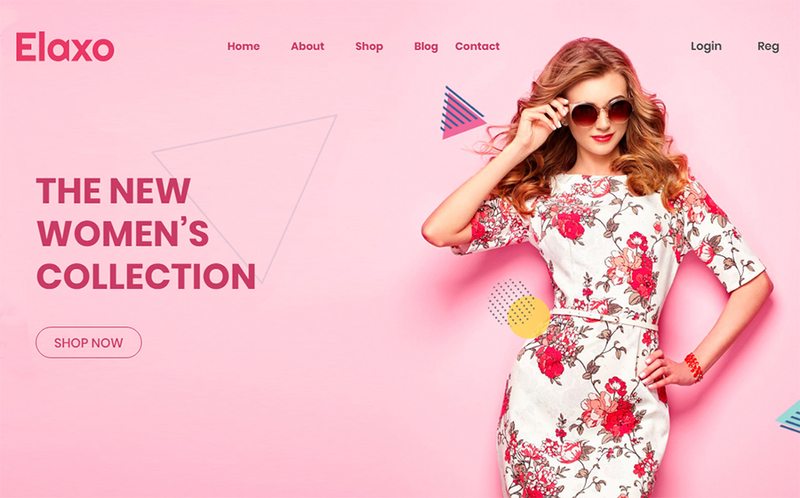 Ezone serves as an all-in-one solution for building an e-commerce website. It offers limitless opportunities for engaging and effective customization. One of the fastest page builders – KingComposer. Multipurpose layouts fitting a plethora of business niches. A bright, attention-grabbing design, which is easy to memorize. The possibility to take advantage of mobile e-commerce with a responsive layout. Limitless color variants for pages and various elements. Loads of awesome fonts and icons. The ability to turn on Multilanguage support. Take the benefits of multiple shortcodes. 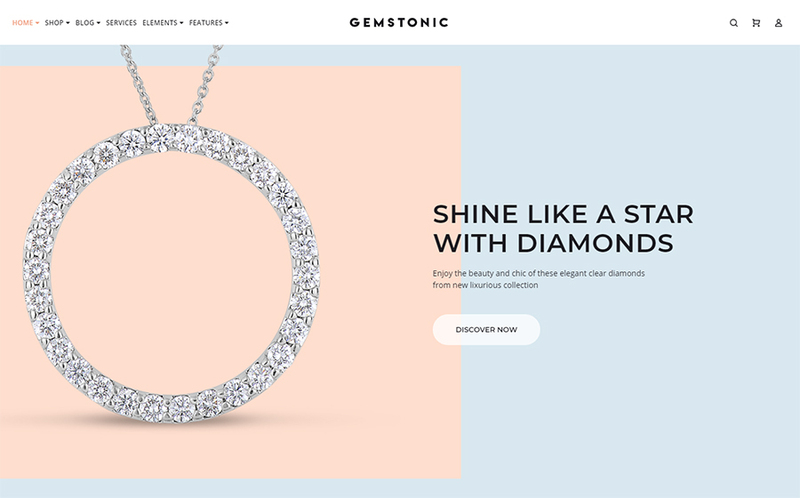 Gemstonic is a gorgeous marketing choice for your jewelry-related online project. 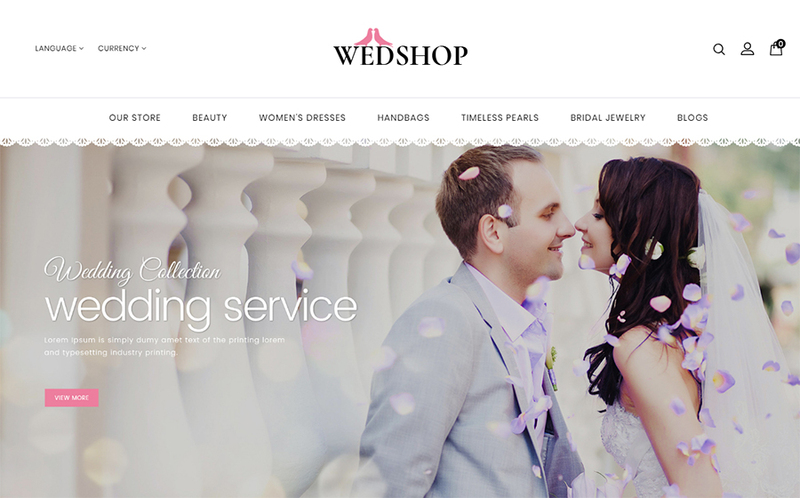 Without a lot of effort, you will customize the theme and turn it into a solid e-store. Lots of exciting pages with different details. The ability to change such settings as color, font, and icon. Handy and flexible Elementor Page builder. An extensive bulk of carefully designed modules.